it even turns the eyes back. Again, this is the deadliest plant in North America. One bite can kill you. It’s ironic that something so pretty can be deadly. Satan often works the same way, doesn’t he? (2 Corinthians 11:14 The Living Bible). That’s why Peter encourages us to keep our guard up. Guess what—those are ACTION WORDS. We can’t “be careful” if our guard is down. “Be careful—watch out for attacks from Satan, your great enemy. to tear apart” (1 Peter 5:8 TLB). 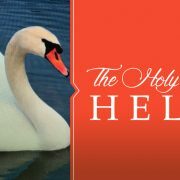 Satan’s attacks can be spiritually toxic. What should we do when he attacks? “Stand firm when he attacks. Good to know we’re not alone. And we also have the Holy Spirit who will empower us. This next year . . . let’s commit together to keep our guard up. And not to be taken in by something that simply looks good. http://susieshellenberger.com/wp-content/uploads/2017/12/SoPretty.jpg 539 1030 Susie Shellenberger http://susieshellenberger.com/wp-content/uploads/2016/04/susielogo-300x93.png Susie Shellenberger2017-12-21 15:15:452017-12-15 15:33:43But It’s So Pretty! important Words ever, I haven’t memorized as much as I should. 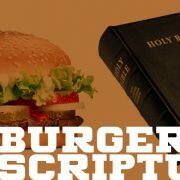 I don’t want to know my burgers better than I know my Scripture. Hamburgers can’t give me guidance, wisdom or promises. But God’s Word can . . . and does! 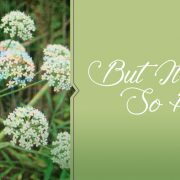 How about joining me in 2018 to memorize more Scripture?